The late '60s and early '70s brought the proverbial sea change to Hollywood. As society in general became more permissive and more open to adult subject matter, so too did Hollywood expand its repertoire to include more realistic depictions of life. The trend even extended to the horror genre, as the films of the era began to depict the gore and mayhem that has become familiar to modern-day fans. But while many Hollywood luminaries embraced these changes, others found them somewhat off-putting. One of the latter was Vincent Price, who felt that the increased use of stage blood and gratuitous violence drained horror films of much of their suspense and allure, and that too often lazy scripters would substitute blood-and-guts for clever ideas and witty dialogue. So after making a brief foray into the gore-heavy trend with Scream and Scream again, Price experienced a de facto retirement from the silver screen , not so much by choice but by virtue of the fact that the scripts he was offered were of the bloodfest variety. For much of the late '60s and early '70s, Price did guest appearances on television shows and pursued his love of fine art, whilst his film career languished. But in 1973, Price was lured back to the silver screen for the eponymous role of Anton Phibes, brilliant musician, historical scholar and inventor of some genius. 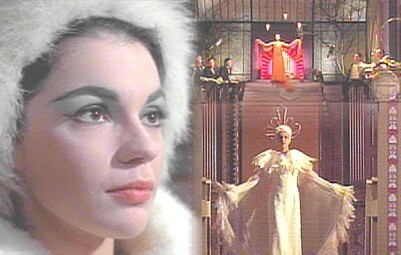 The plot for The Abominable Dr Phibes is something of a work of genius itself: Phibes, who feels his beloved wife Victoria was allowed to die on the operating table during what should have been a routine procedure, seeks to avenge her death by killing those he holds responsible. But Phibes isn't for your garden-variety retribution; instead, he seeks - and finds - divine inspiration for his diabolical plan of vengeance. And yes, that is intentionally vague, for to reveal exactly where he finds his blueprint for retaliation would spoil part of the fun of the film.